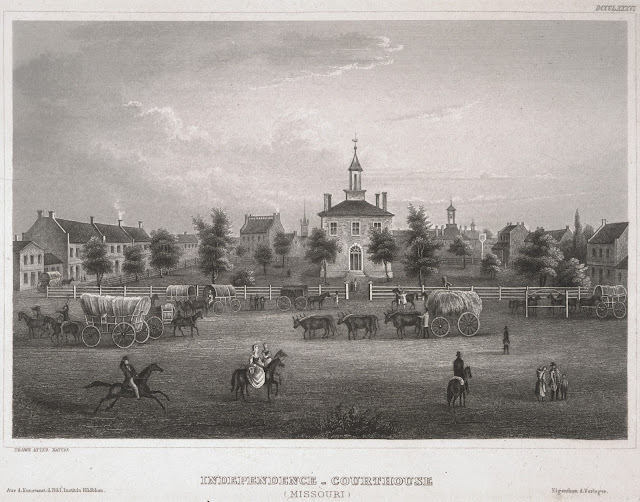 The wheels carrying me through Independence, Missouri, turned beneath a car rather than a wagon, but I fancied that the broad streets and heavy traffic of this jumping-off point to the American West hadn't changed much since Oregon Trail days. Take a look at the map, below, and you'll see why so many people converged in Independence. What would pioneers have thought of the speed of our modern conveyances, I wondered? An automobile would be hard enough for them to come to terms with without adding in airplanes. How would neon lights, modern dress, or changes in morality have struck them? I could hardly imagine their shock. The smile that touched my lips gave way to a frown at what we as a nation have lost. That’s not to say that all progress is bad. I like my washing machine, finding a crop that failed in my garden in the grocery store instead, and the Internet for connecting with readers. Not all change its bad. Not all change is good either. Sometimes I wish I had been born on an earlier day, at a time when America was young. I suspect I’d have been one of the emigrants who eagerly went westward, pursuing a dream. Some of the women who forged a new world in the West did not have that mindset, however. The advice, famously credited to Horace Greeley, for young men to go West was a call to adventure. With the New World to conquer, men flocked to Independence, a popular gateway to the American West. Some of the wives and daughters who came with them protested in their diaries that they considered the undertaking foolhardy, but they followed their menfolk into the unknown, regardless. What did these brave women think and feel when they left civilization, not to mention members of their family behind? Did they cling to remnants of the life they’d known in the East? That many women scratched entries into diaries in between camp chores and tending children after walking an average of twenty miles in a day, often while pregnant, points to their understanding that they had become part of history. They made their mark on the West as surely as the men they traveled beside, softening its rough edges and calling for churches to be built. Eager to reach Hannibal, where we’d booked a stay in a historic home frequented by the likes of Mark Twain, the small family group in which I traveled hurried through Independence. I’ll never forget my impression of its far-flung streets, buildings built in a bygone era juxtaposed with modern structures, or the glint of the Missouri River on its outskirts. Riverboats once plied the muddy waters, carrying emigrants as far westward as the Missouri Breaks in Montana. 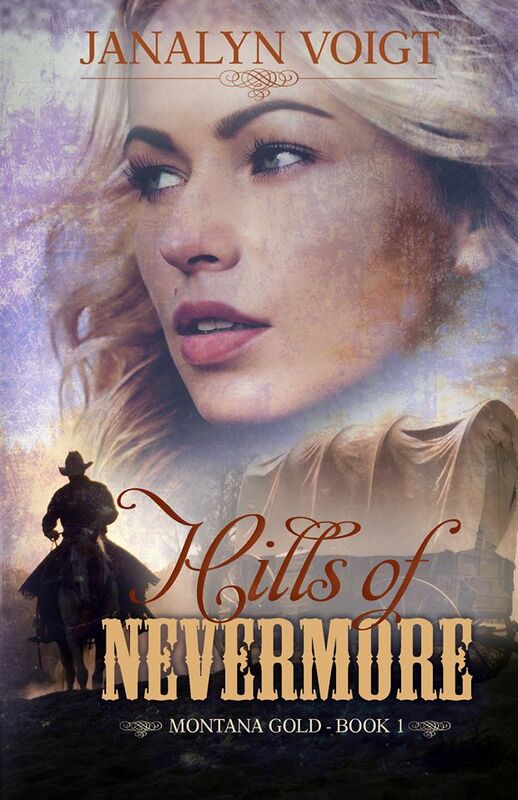 Bry Brennan, the heroine of Cheyenne Sunrise (Montana Gold, book 2 – releasing February 1, 2018) travels part of the way West by riverboat in the company of her brother, Con, one of the characters from Hills of Nevermore (Montana Gold, book 1). While researching Cheyenne Sunrise, I learned that a riverboat journey was not as comfortable as it might sound, nor was it without danger. Partially-submerged logs known as “deadheads,” hidden sandbars, and overheated boilers were some of the hazards that could cause delay or outright disaster. Whatever trails pioneers took westward, the means by which they traveled often brought them to Independence. Library Journal: "Manages to keep the reader glued to every twist and turn. For readers who like their romances squeaky-clean and those interested in the historical Western setting." Romantic Times: "Voigt is a talented author who has weaved several genres into her novel, and has created a beautiful first story in her Montana Gold series." 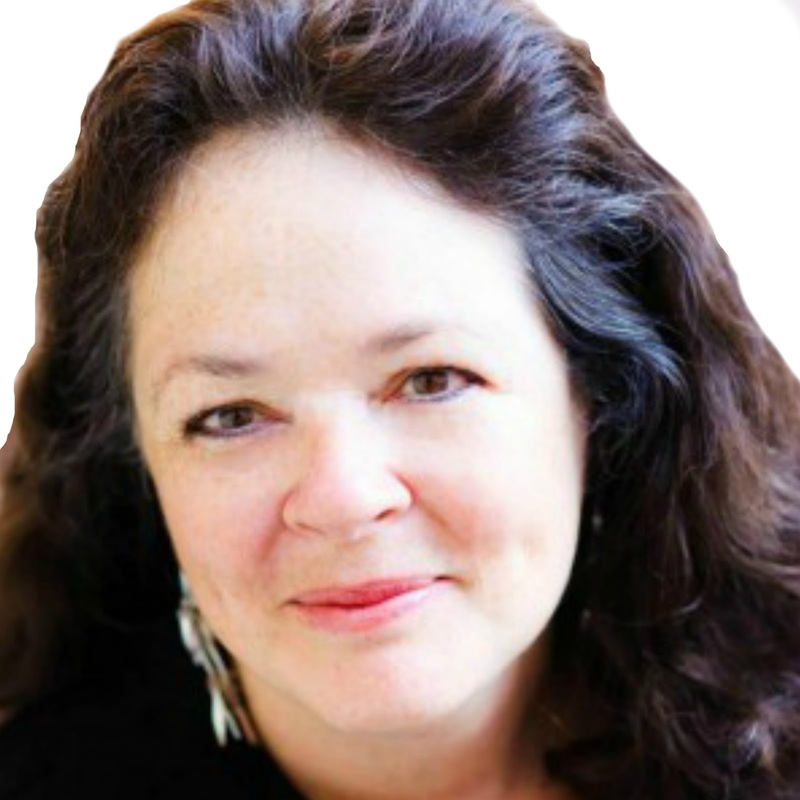 Sign up for Janalyn Voigt's email list. My father instilled a love of literature in me at an early age by reading chapters from "The Wizard of Oz," "Robinson Crusoe" and other classics. When I grew older, and he stopped reading bedtime stories, I put myself to sleep with tales I "wrote" in my head. My sixth-grade teacher noticed my storytelling ability and influenced me to become a writer. I'm what is known as a multi-genre author, but I like to think of myself as a storyteller. The same elements appear in all my novels in proportions dictated by their genre: romance, mystery, adventure, history, and whimsy. Escape into creative worlds of fiction at http://janalynvoigt.com. I've always enjoyed reading stories about people heading west from Independence. Thanks for more information on the area. I don't think I could have endured the hardships those women did in those days. For many years I have wanted to travel the Oregon trail, by car of course...maybe a portion by a covered wagon to get the "feel" of it, to see the historical sites of yesteryear of those heading west on the trail. Maybe one day I will be able to do that, til then I will "travel" that trail within the pages of historical fiction. Missouri is one of the best cities that were of notable importance during old days and was the active element that played role in securing independence of western America.